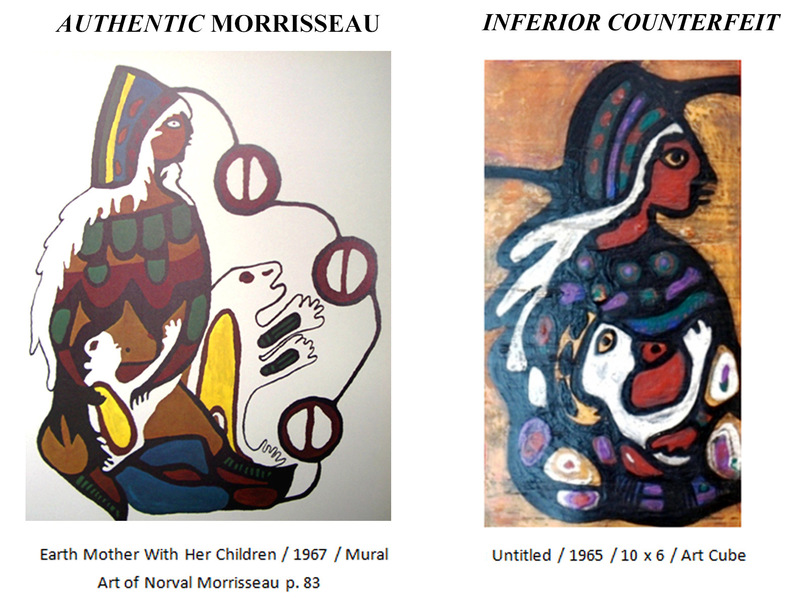 Description: Authentic v Forged Morrisseaus Compared >>> In the opinion of Norval Morrisseau protege, Ritchie "Stardreamer" Sinclair, you are viewing an image of an authentic Norval Morrisseau painting compared with an image of an INFERIOR COUNTERFEIT NORVAL MORRISSEAU painting that was derived from the original artwork as it appeared on page 83 of "The Art of Norval Morrisseau" book - 1979. This wall mural was painted at and for Expo 67 in Montreal. MORRISSEAU.com's content is for informational/educational purposes only.